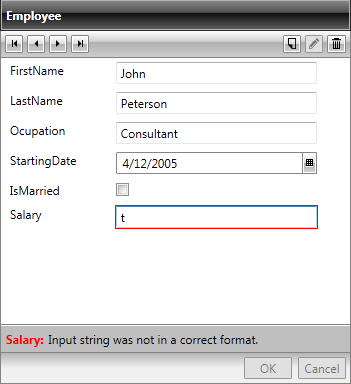 RadDataForm provides data validation of the user input. 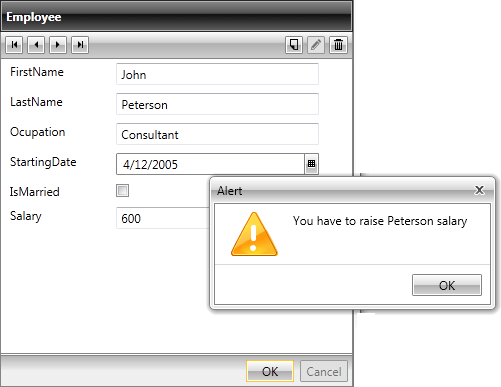 Data Validation enables you to take complete control of the data entered in the fields of the data form. In the case above the Framework handles the validation and it fails due to type incompatibility. However, you are free to perform your own custom logic when validating. 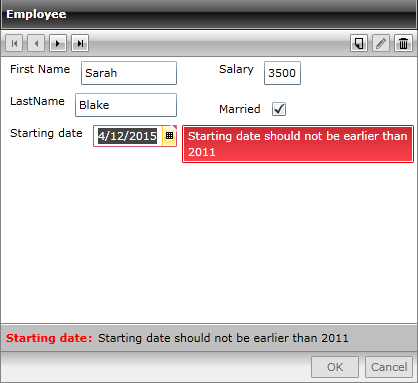 The first approach would be to handle the ValidatingItem event of the RadDataForm. You may subscribe to it, define the validation rules you want to apply and cancel the default validation.